Well, Randall Delgado belongs in a Diamondbacks uniform. And that’s not necessarily a good thing. Delgado has barely earned his keep when it comes to good pitching (5.61 ERA over 34 games in relief), but he has to be in Towers’ good graces after Saturday night’s performance. The gap between pleasing one’s superiors and appropriate behavior is where the crux of this story lies. It started on Friday, when Pirates closer Ernesto Frieri inadvertently hit Arizona’s Paul Goldschmidt on the hand. 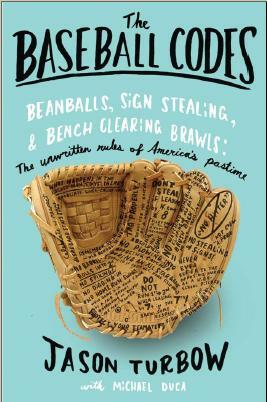 It was unquestionably a mistake—a fastball that sailed inside and barely clipped the batter, who flinched backward a hair too slowly. If D’Backs brass hadn’t decided to retaliate yet at that point, they probably gained clarity when the diagnosis came in: Goldschmidt’s hand was fractured and he’d miss significant time. For those who need further proof of intent, when Towers went on his radio diatribe last year, he specifically called out his team’s lack of response when Goldschmidt was hit: “Goldy gets dinged, and no retaliation. 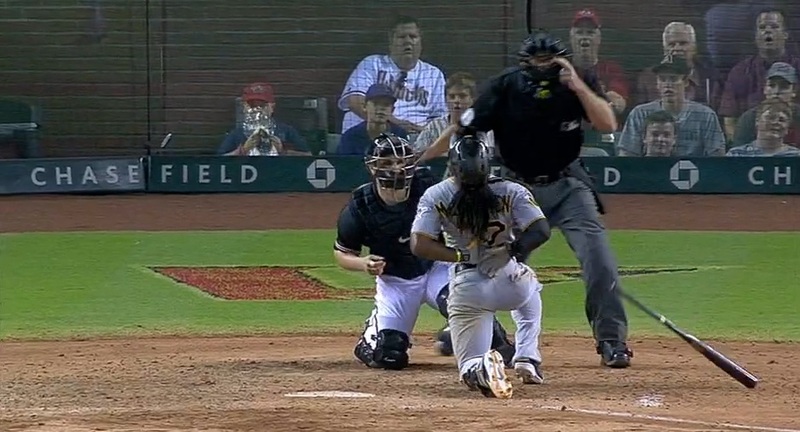 It’s like, ‘Wait a minute.’ If Goldy’s getting hit, it’s an eye for an eye. Somebody’s going down or somebody’s going to get jackknifed.” So there. Indeed, Arizon had first base open with one out and McCutchen at bat in the first inning. It is a tailor-made circumstance for those with pain on their minds. Trouble is, Gibson had a similar situation in June—first base open against the Brewers—and when he used it to drill Ryan Braun, it ended up costing his team the game. So he waited. Even if Arizona’s need to retaliate is highly questionable, the method of execution Gibson chose is not. The game was tied in every one of McCutchen’s preceding at-bats, when allowing a baserunner in the name of vendetta would not just be wrong, it would have been even stupider than what the D’Backs ended up doing. Gibson’s act might have played well when he was starring for the Tigers in the 1980s, but the game has changed. That kind of response to a clearly benign situation is no longer acceptable. McCutchen gets huge credit for not charging the mound, but that’s a possibility—if now a downright likelihood, and not just with the Pirates—if Arizona pitchers continue their reckless ways. I wonder if Gibson would have gone through with this had a different manager of higher stature been in the opposing dugout – Tony LaRussa or Jim Leyland for instance. Not sure if this is in play at all. The Pirates’ top six farm teams all lead their individual minor leagues in HBPs as well — they stress the importance of pitching inside. Probably has nothing to do with Frieri, though, as he seems to have very little sense of where his pitches are going. Love that info. For all the upsides of an organizational approach to pitching inside, the most glaring negative involves dealing with the repercussions when you inadvertently hit more batters. I’d really like to know what kind of discussions have gone on internally in Pittsburgh as far as formulating a party-line response to this type of thing. On one hand, I know that this stuff is dangerous and wrong and the game has changed. But, on the other hand, I really like how this stuff (Machedo incident, DBacks philosophy) can potentially make some better rivalries. One of my favorite moments was when Torii Hunter used the White Sox catcher as a speed bump when he could just as easily have missed him entirely. The Twins/White Sox rivalry got pretty intense for a few years after that. Made the game more fun to watch. Hard to argue with that. There’s frequently an unintended upside to mayhem. It’s why revenge movies are so much fun — everybody wants to see justice in the end. Intentional or not is irrelevant. Pirates have led the majors in HBP because of their pitching philosophy. This is dangerous, but apparently the Bucs don’t care because the only players in danger are on the other teams. Plenty of careers have been ended because of reckless pitchers, and until the Bucs start changing the way they approach opposing batters guys like McCutchen are going to be plunked. Whether the particular pitch that Frieri threw was intended to hit Goldschmidt doesn’t matter. He’s not a rookie. He knows his limitations. He pushed the limits just a little too far and ended up ending an All-Star first-baseman’s season. I can guarantee you if a Diamondbacks pitcher had been pushing a little too far inside and ended up “accidenally” breaking McCutchen’s hand in the same way Goldy’s hand was broken, the Bucs would have retaliated, too. They’ve retaliated already this season for far less of an offense. You’re right. I won’t argue with “sometimes things just happen”. But when your pitching strategy causes your pitchers to hit more batters, the odds of things “just happening” are a lot higher. For them to ignore this increase in danger to opposing batters in my book is irresponsible (just as much or more than pitchers who occasionally throw at batters). I meant to provide the stats to back up my claim. Last year the Bucs hit 88 batters. Second was Cincinnati with 76. The DBacks plugged 43. This year the Bucs again lead MLB with 60 HBPs. Second is St Louis with 58. The DBacks have plugged 39. Whether it’s the manager, the pitching coaches, or the players themselves who decided that they’re going to pitch out of control, SOMEONE needs to do something about it or else the McCutchen incident is going to keep happening. Interesting how there’s a correlation though. Maybe Bucs batters get hit more because their pitchers are “accidentally” hitting opposing batters more than any other MLB team. Interesting Bucs stats and full disclosure they’re my National League team, but my anecdotal evidence is that when I watch Bucs’ pitchers hit other teams’ batters, it’s almost always with breaking stuff, and almost always below the waist. I’d be interested in the breakout of those numbers. It’d be great, and damning, if we had 35 Greg Madduxes and their pinpoint control starting throughout the system, but I doubt very much there’s a single 175-win guy under contract in the system. Gerrit Cole has stopped closing his eyes at the point of release. That’s a start.